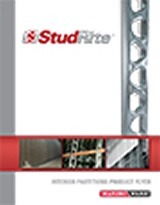 StudRite® has one of the best strength-to-mass ratios of any stud in the industry. It can be used to frame interior bearing and non-bearing walls, as well as exterior walls without limitations, including low rise bearing, high rise non-bearing and pre-fabricated wall panels. 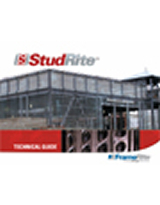 Efficient design for installing plumbing, heating, electrical,and other trades. Saves construction professionals valuable time and reduces labor costs.